Net Zero Duct Mask Grill Register Tape is designed for HVAC registers to provide an easy and inexpensive way to protect HVAC system integrity by sealing off registers and grills in interior work areas. Net Zero Duct Grill Masks comes with 6" perforations for easy tearing, or can be cut to the size needed. 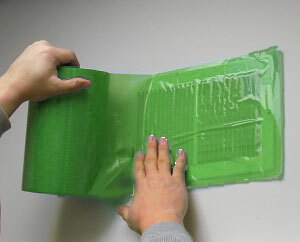 The tape adheres to all surfaces well but won’t peel or chip paint when it's removed. Available in boxes of eighteen (18) rolls. 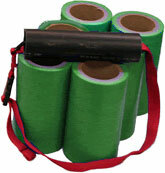 Call us for discounts on orders of 54 rolls or more!